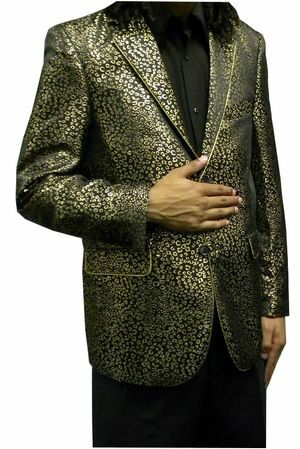 There is something about the leopard pattern that just seems to breath fashion into your personal sense of style and this leopard print Las Vegas style blazer by Midnight is no different. This is one of the latest creations by Midnight featuring a single breasted 2 button jacket with notched lapels and side vents. If you look closely you will see gold piping trim on the lapels and the pocket as well. Ready for for jeans or dress pants.